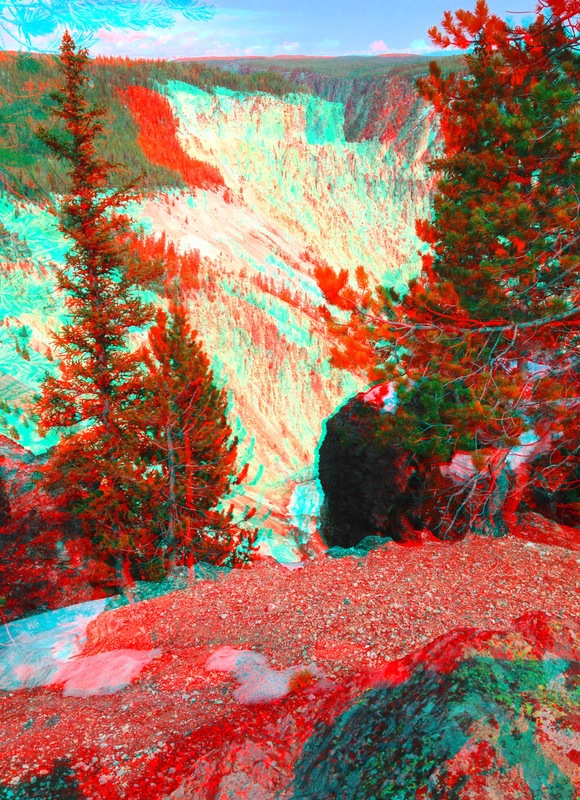 You need 3D glasses to view these or really good eye-crossing skills to see the stereograms. The wigglegrams (created with Picasion) might be a little irritating, but allows you to see the 3D effect without glasses or eye-crossing. 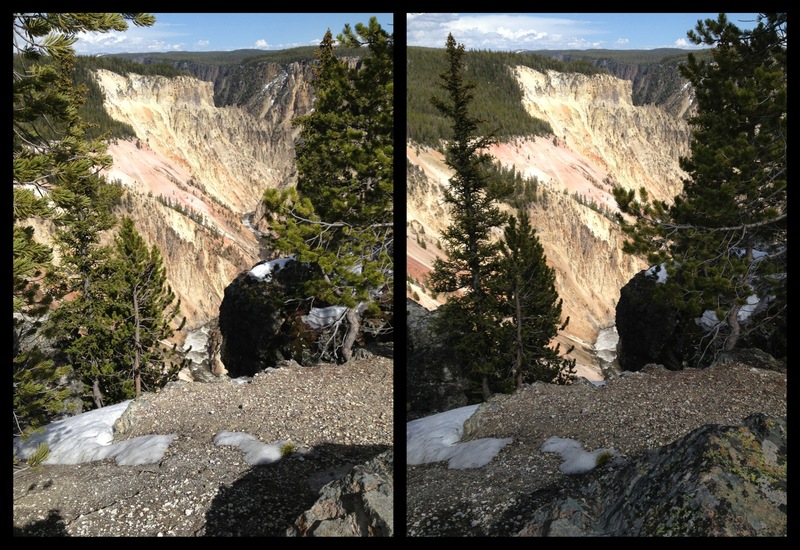 You can click on any of these to see them full-sized. 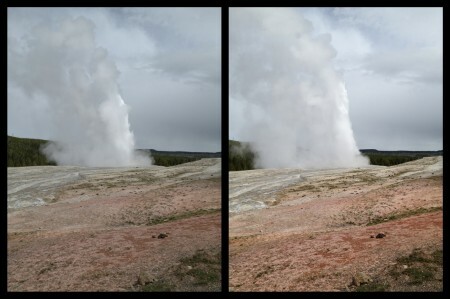 The Wigglegrams of the first and second 3D photos looks more like an animation. 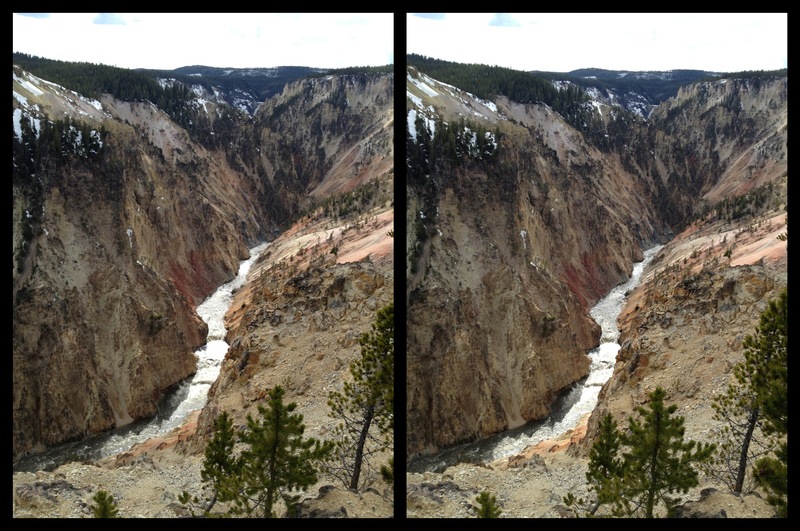 Here are a couple of photos of the Grand Canyon of the Yellowstone. As a kid, I loved my Viewmaster and one of the sets of reels I had was from Yellowstone. 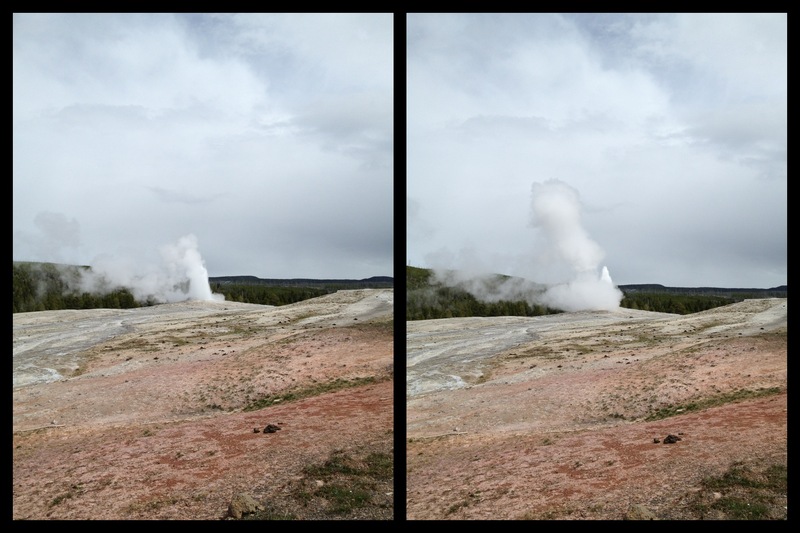 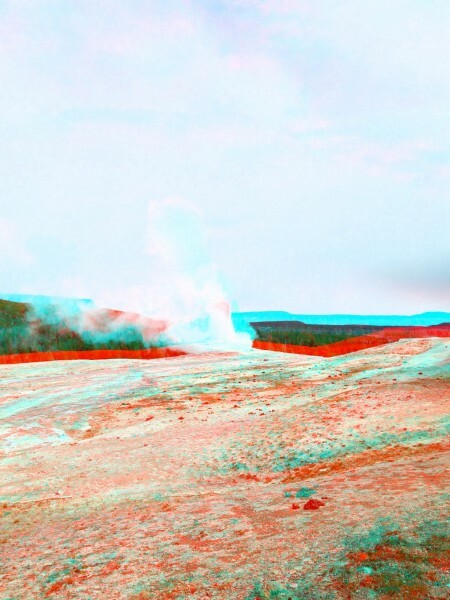 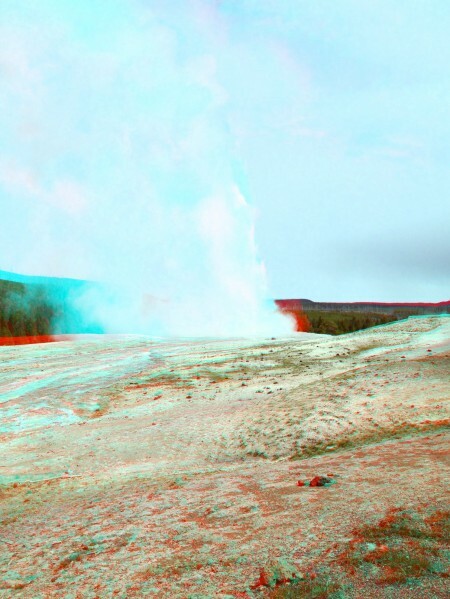 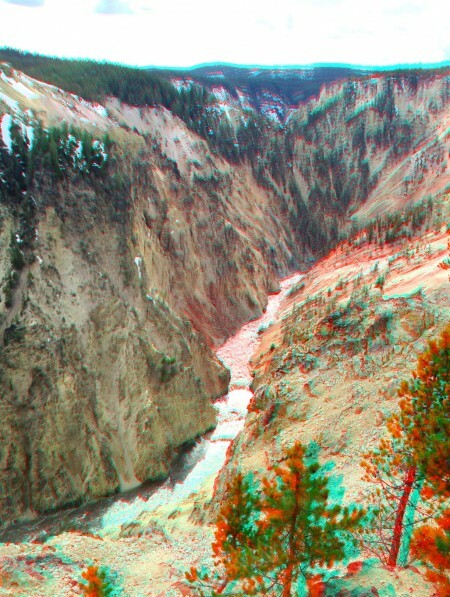 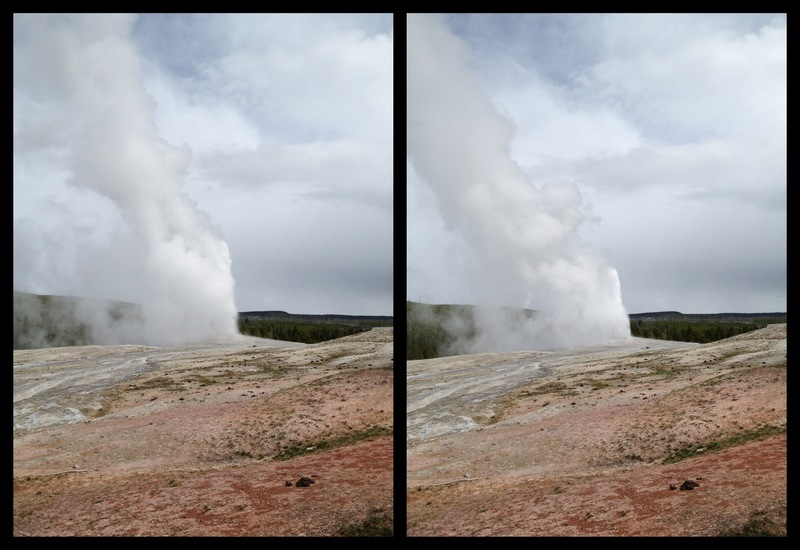 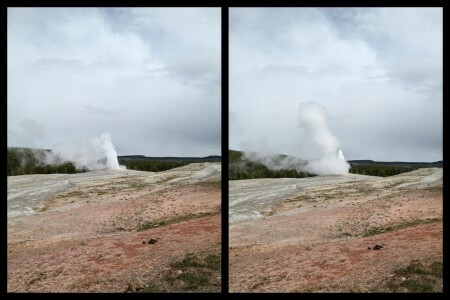 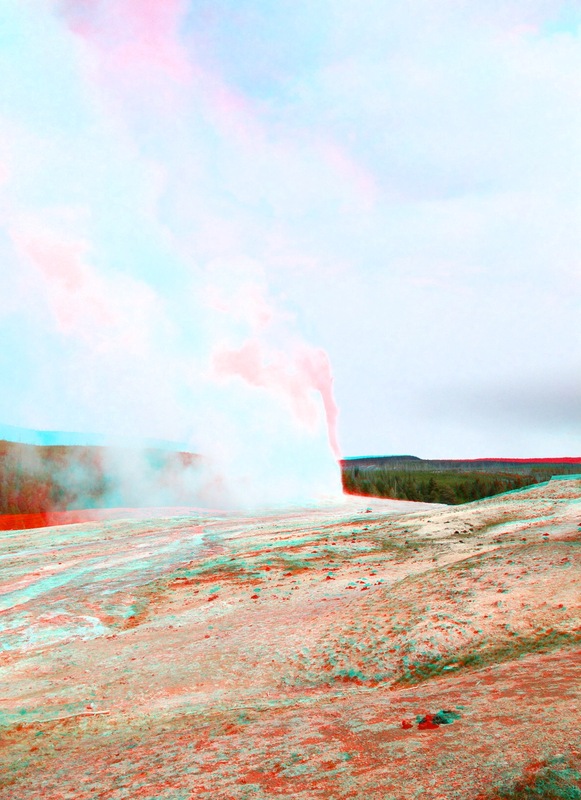 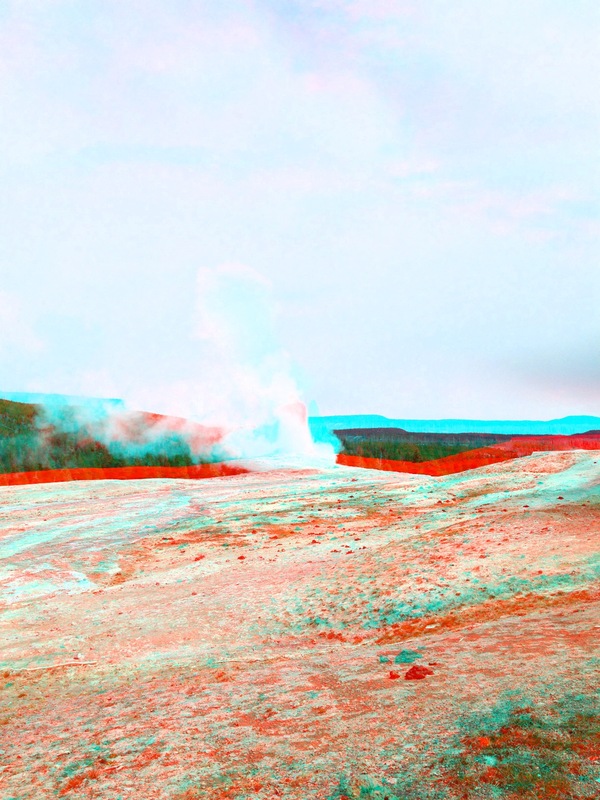 It makes me so happy that I can create my very own 3D images of Yellowstone and remember it in even more detail than just a picture.